Hi! I’m Emily Spahn. I am a wife, a mother, a music teacher, and of course, a scrapbooker. 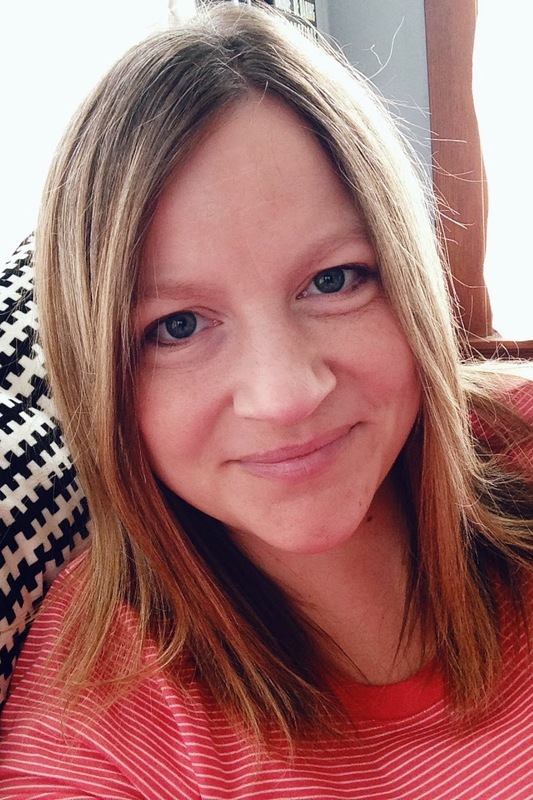 After a decade of living and teaching in the Chicagoland area, my husband and I moved our family back to our home state of Wisconsin. We live in our “new” 90 year home just outside of Madison, WI. I’m currently taking a short break from teaching to stay home with my three crazy kids Mirielle (5), Henry (3) and Oliver (almost 1), it’s been an enjoyable change. In addition to srcrapbooking and spending time with my family, I enjoy photography (though I seem to find myself using my iPhone much more than my big camera nowadays), reading, music, thrifting (I’m a little addicted to the antiques board on Craigslist), and being outdoors. 1. 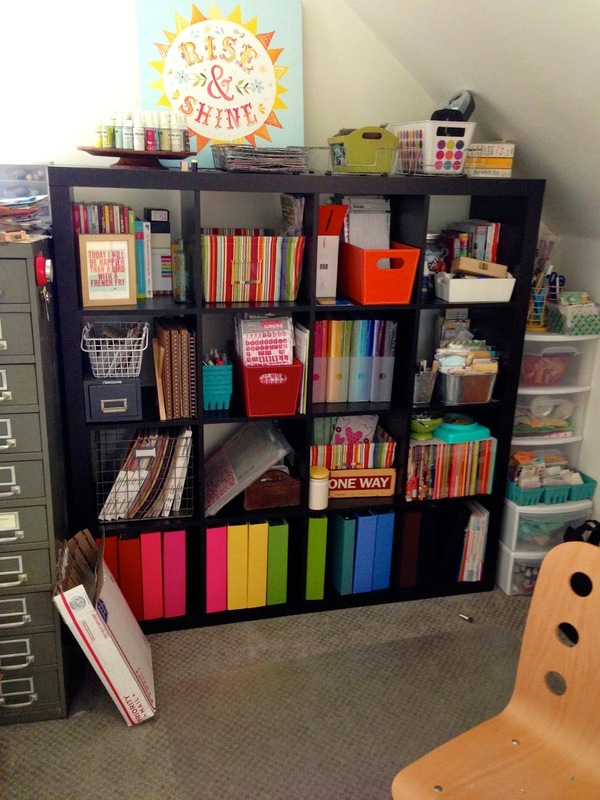 How long have you been scrapbooking and why did you start? I began scrapbooking in 5th grade, which was a very, very long time ago! ;) I saw a girl do a presentation on scrapbooking at a Forensics tournament and decided it was something I might like to try. My first scrapbook was made using white typing paper, Scotch tape, and some very fantastic title and journaling blocks that I drew myself with crayon! A few years later I discovered patterned paper and was changed forever! I have been scrapbooking on and of since then, but 10 years ago after I was out of college and married I started scrapbooking more seriously. About seven years ago I got into the world of online scrapbooking, publishing, and design teams, and I’ve never looked back! 3. What scrapbookers have influenced you most? My “original” favorites from my scrapbooking origins would definitely have to be Shelley Lamming and Kelli Crowe. I was obsessed with them back when I started scrapbooking more seriously, and they definitely influenced my style. Presently I have too many favorites to mention. My “favorite” scrapbookers definitely rotate! 4. What is your favorite thing about kit clubs? I am NOT a matchy scrapper. I love mixing and matching elements from various manufacturers. I love a good mix of patterns and color. Kit clubs take the work out of it all for me by providing a great selection of product that goes together, but doesn’t all come from the same manufacturer or the same line! 6. How would you describe the Citrus Twist August scrapbook kit? I’m having such a great time creating with the August kit! 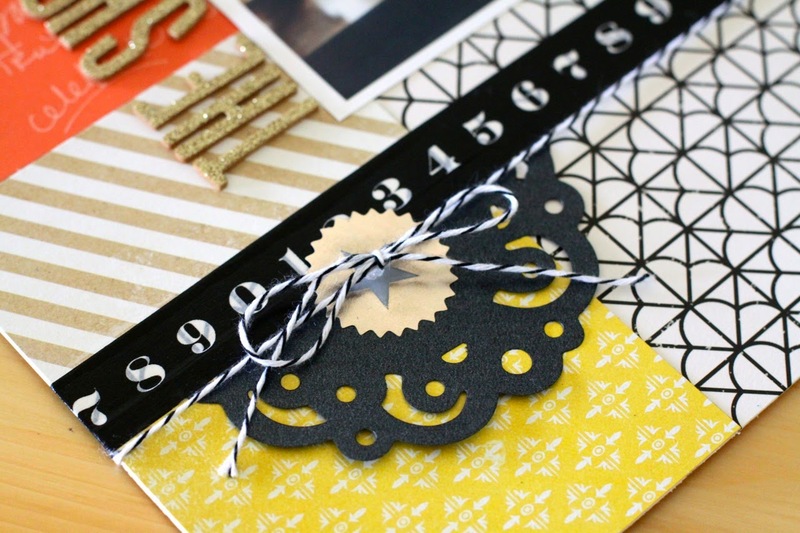 I love the color scheme and the little bits of black and gold that are thrown into the mix. If I had to describe it I would say it’s like the beach at night. ;) It’s not super bright and summery, but it’s got just enough shimmer and shine to make it calm and magical. Here is a sneak peek at what I have created with the August Kit. **About my scraproom: As I mentioned, we moved into a new house (well, it’s actually a very OLD house, about 90 years old) right before Thanksgiving. We’ve slowly been working to decorate and update it. 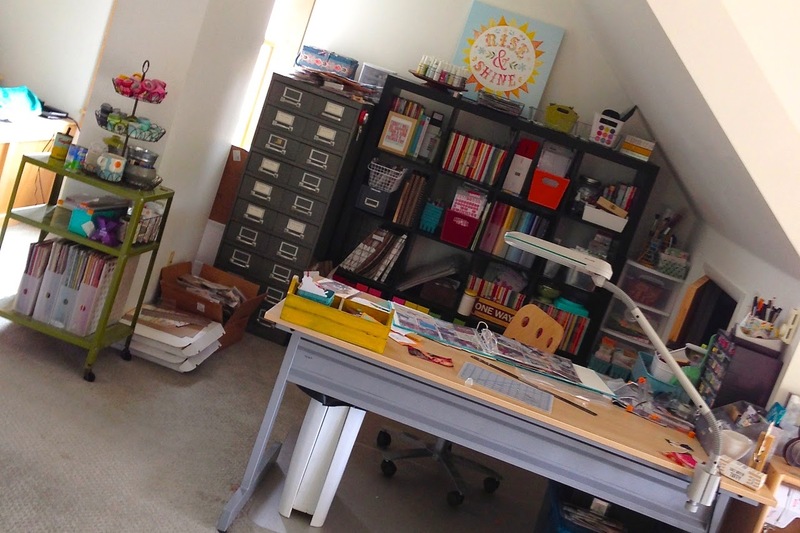 One of its best features is the renovated attic, which is where my scrap space is located. Unfortunately this space is at the bottom of the priority list when it comes to fixing up the house, so not much has been done with it! This is a pretty sad iPhone photo that I took when it happened to be clean one day! I can’t wait to finish unpacking everything (yes I still have boxes of scrapbooking stuff to unpack) and getting it all organized! Oh Emily...I'm glad to know someone else is not a matchy scrapper either! I have never scrapped like that at all. I'd like to know what kind of albums you're using at the moment. I'm coming to the end of my strap-hinge journey and would love some suggestions. I think your scrap space all ready looks amazing! Not sad at all! I love it! Looking forward to seeing what you've created. And your space looks wonderful! Love the sneak peek at the August kit! and I love what you have done with your space. My craft room has angled ceilings also so that can be a bit tricky, but I absolutely love how you have arranged your room! Thanks for sharing!